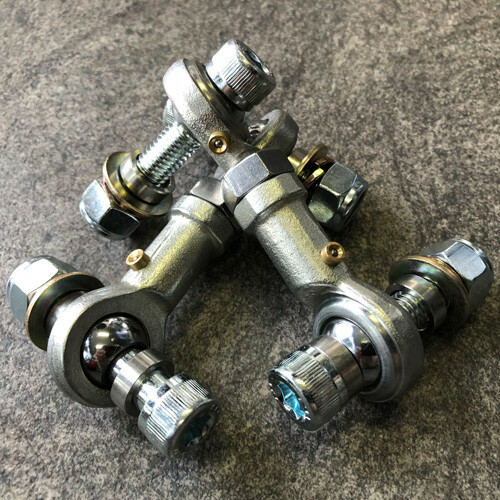 Short sway bar links by Tuckin99 for NA (1989-1997) Mazda Miata/MX-5. 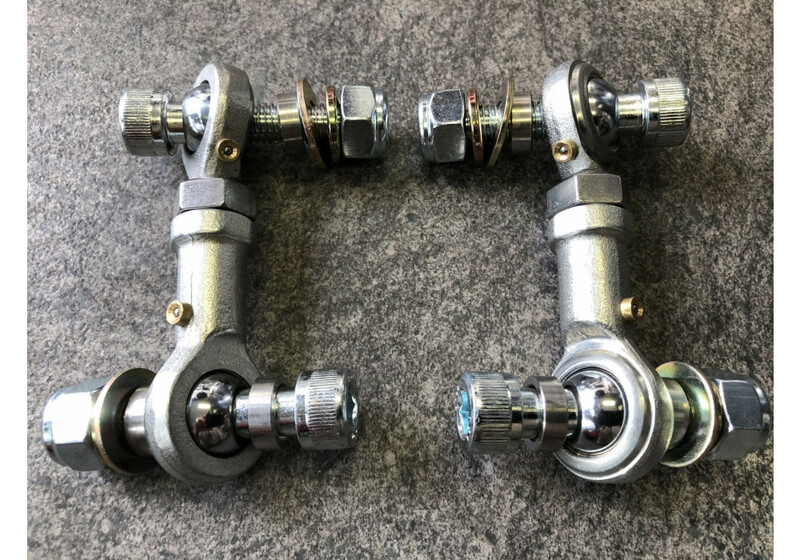 When a vehicle is lowered there is often a lot more stress on the stabilizer/sway bar so the links must be shortened as well to even out the load and properly corner balance the car. 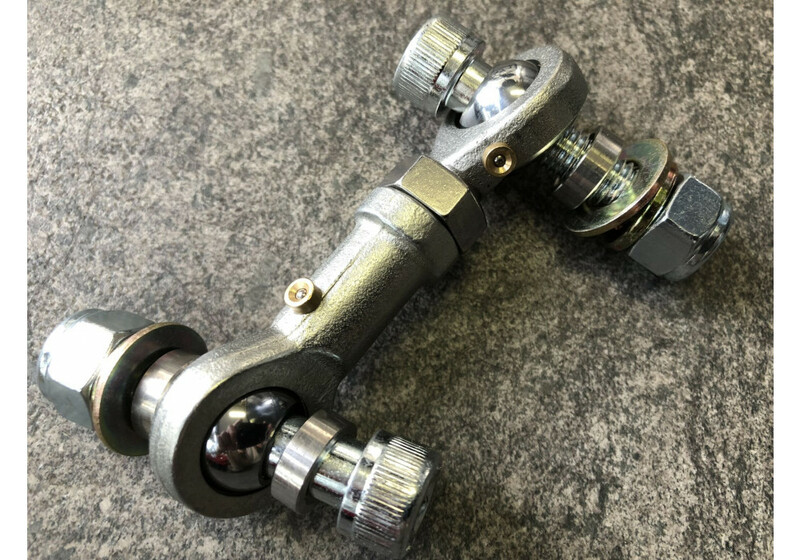 Tuckin99's links are made from high quality stainless steel and are built to have easy maintenance and lubrication. They will allow for smoother operation of the stabilizer bar and better handling when driving and will also prevent future misalignment of the front wheels. A must for those with lowered Miatas running sway bars. 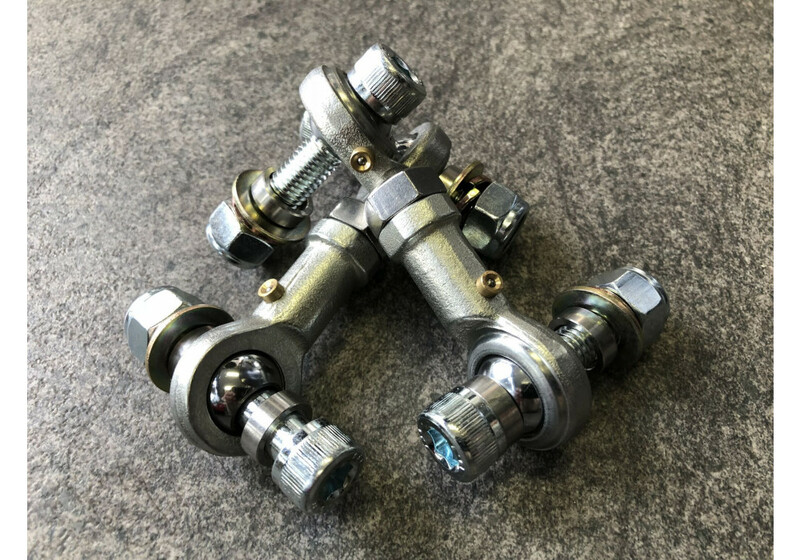 TUCKIN99 Stabilizer Pillow End Links should be ordered at REV9 Autosport https://rev9autosport.com/tuckin99-stabilizer-pillow-end-links.html as they provide the best service and speed we've seen so far!